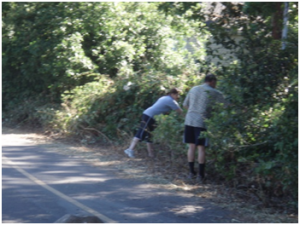 The next county-wide creek clean-up will be the morning of Saturday, April 29, 2017. Thanks to all the volunteers and sponsors who made Creek Week 2016 a success! See our Results Report for Creek Week 2016. 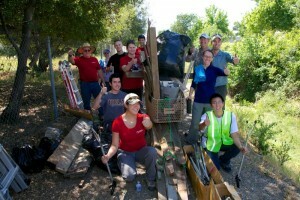 Check our event website creekweek.net for further updates and to register to volunteer. December 26, 2015 – Bill Templin and Doug Masterson documented and photographed a live Chinook Salmon at the USGS Gaging Station in Arcade Creek just upstream of Watt Ave. Photo to the left. 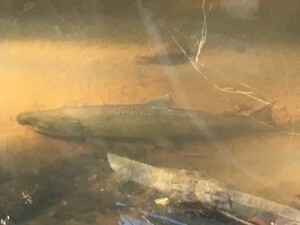 Dec. 27, 2015 – Randy Smith, local resident along Arcade Creek reported having seen a Chinook Salmon swimming in Arcade Creek near the foot bridge near Pasadena Ave.
Feb. 6, 2016 – Bill Templin, Regan Morey and Randy Smith documented and photographed a 27″ female Chinook Salmon upstream of Auburn Blvd. Thanks to all who helped with Creek Week 2015. 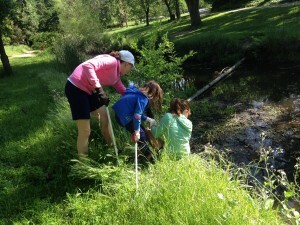 It was our 25th annual creek clean-up! See our results report here. Galt’s report on their seven years of being part of Creek Week is here. 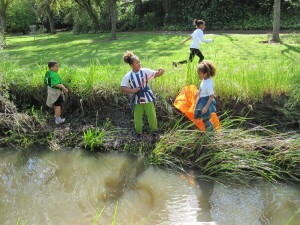 Take a look at our photo albums on our Facebook Page, Creek Week Sacramento. 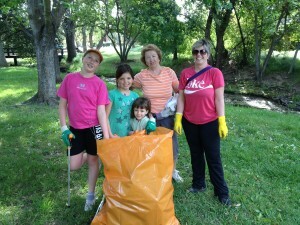 And be sure to mark your calendar for next year’s clean-up date of Saturday, April 9. 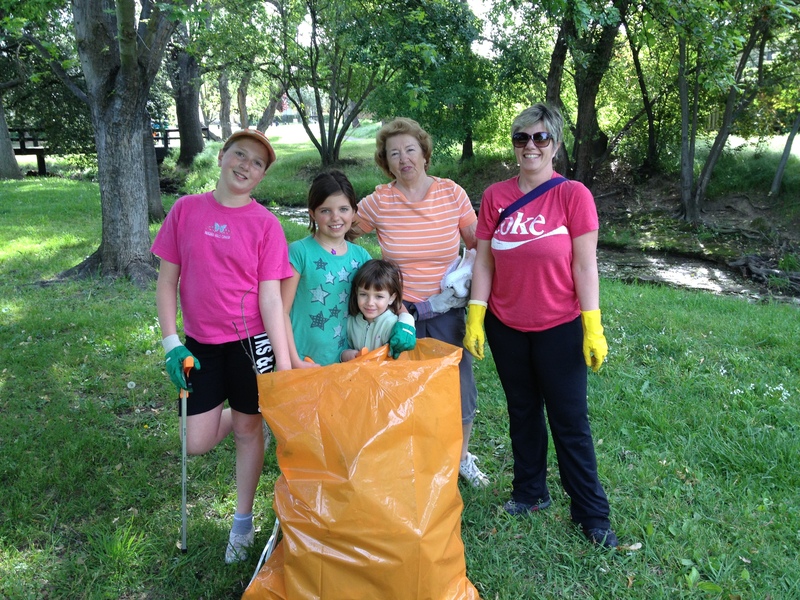 The next county-wide creek clean-up will be the morning of Saturday, April 18, 2015. Thanks to all the volunteers and sponsors who made Creek Week 2014 a success! Mark your calendar for April 12, 2014. Volunteers will clean Sacramento region creeks from 9 until noon. Then all are invited to the Celebration at Carmichael Park for a hot dog lunch & entertainment. Check the Creek Week web site for other Creek Week activities that will start April 4, 2014. Volunteers of any age can help. It’s fun! 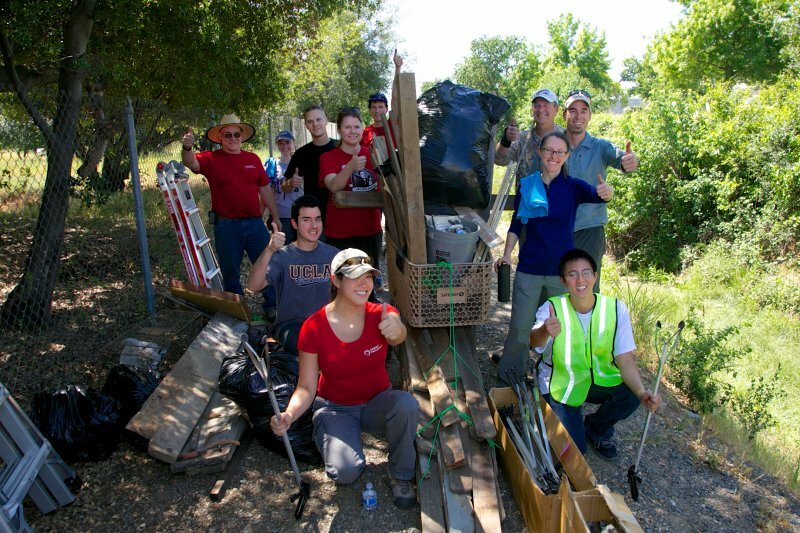 Thank you to the 2,500 volunteers who cleaned Sacramento County’s creeks this spring. 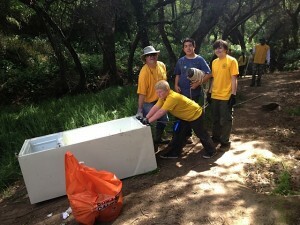 They removed close to 20 tons of garbage along 35 miles of waterway. 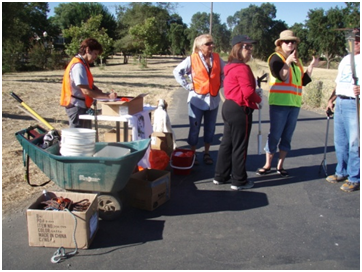 The larger than normal garbage haul was due mostly to new clean-up locations in the Delta and Rancho Cordova. You are welcome to help with the planning of Creek Week. Check here for the latest. Meeting notes for October 11, 2012 Next meeting is Thursday, November 8 at 7:30 a.m. Choose from indoor and outdoor activities – work or play. 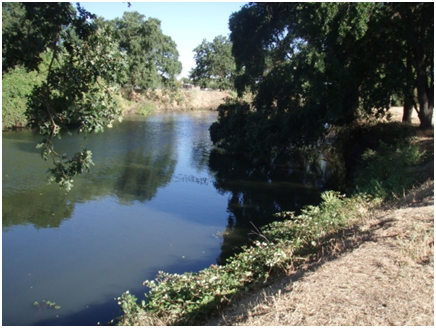 Sacramento Area Creeks Council board meets at 6:30 pm on Monday, September 17 at 4855 Hamilton Street. Please join us and learn about how you can help us continue our work for Sacramento’s creeks. Visit our exhibit at Nature Fest on Saturday, October 7 from 10 until 3 at Effie Yeaw nature Center on the American River. Creek Week 2013 Planning Committee meets for the first time at 7″30 am on Thursday, October 11. This is your chance to get in on the ground floor as we begin the six-month planning process. 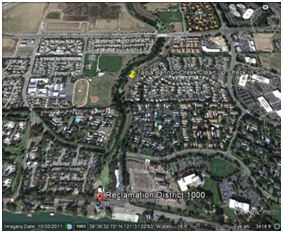 Call Alta at 916 454-4544 if you would like to join the planning effort. It’s rewarding and fun to work with the wonderful people on this committee! 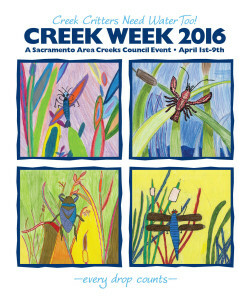 Sacramento Area Creeks Council board meets at 6:30 pm on Monday, October 15 at 4855 Hamilton Street. 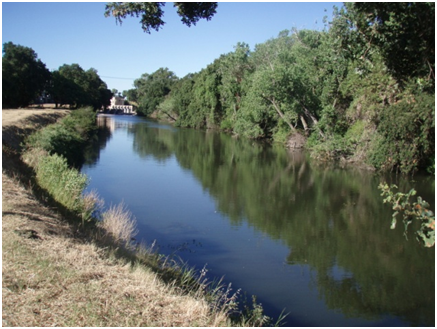 Please join us and learn about how you can help us continue our work for Sacramento’s creeks. 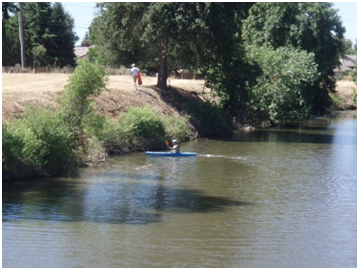 Cruise the Creek from 10 am until noon on Sunday, October 21 at Del Meyer Park in Elk Grove. Join the Laguna Creek Watershed Council for a docent led bike tour along Elk Grove’s Laguna Creek. Tour will include stops along the trail with educational talks about creek flow, wetlands, aquatic plants, creek wildlife and other topics. The first planning meeting will be on Thursday, October 11 at 7:30 a.m. Location: 2020 L Street, AECOM’s 4th floor conference room. Please consider helping us plan this great service & environmental event. At our annual Creek Week Celebration clean ups each April, we often hear the question, “So when can we do this again?” To which we usually have to answer… “Not until next year…” Well, one of our site leaders, Tanja , and her crew of volunteers went the extra mile (setting a good example for the rest of us) and organized another clean up in her area and one of our Board Members, Bill Templin, was able to attend and take some photos of their well-coordinated efforts. This channel is part of the Reclamation District 1000’s area and they were right there to help haul stuff away that volunteers pulled from the creek and adjacent parkway. 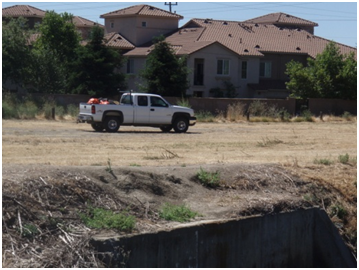 They also kindly mowed down the tall weeds along the creek so people could find the trash easier… and help reduce the chance of a grass fire causing big time damage to the area… Bill noticed that there had been a recent grass fire just before the clean up, so maybe mowing the grass helped to keep that fire a small one. Lots of visitors were noticed using the area for walking and even berry picking… and viewing the scenic beauty of the area as shown in the following photos.